This personal story begins over 50 years ago when I was at high school. I loved performing but so did Terry, a vivacious young lady in my class. We were always in friendly rivalry for the leads in school productions and quite often she beat me to it! When we left grammar school Terry trained as a teacher and I went off to London to train as an actor, so we didn’t meet again for several years but it wasn’t long before we were treading the boards again together at our local theatre. On stage Terry was unforgettable. She could act, sing and dance and her personality shone through. You couldn’t take your eyes off her when she was performing. She did everything from pantomime to musical review, Shakespeare & Rest oration Comedy to modern farce with equal success and her joy when performing was clear for everyone to see. 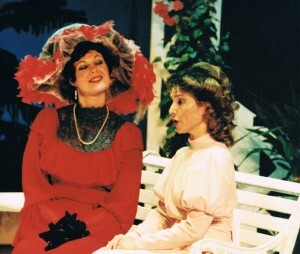 My favourite memory of acting with her was playing Cecily to her Gwendoline in ‘The Importance of being Earnest.’ Eventually as the years went by I began to direct her in plays as diverse as an Agatha Christie ‘Whodunnit’ and ‘Stepping Out’. I remember her complaining, when we were rehearsing, she was feeling under the weather and didn’t know why. About 12 years ago she was diagnosed with Progressive Multiple Sclerosis, such a cruel trick of fate for this lively lady. 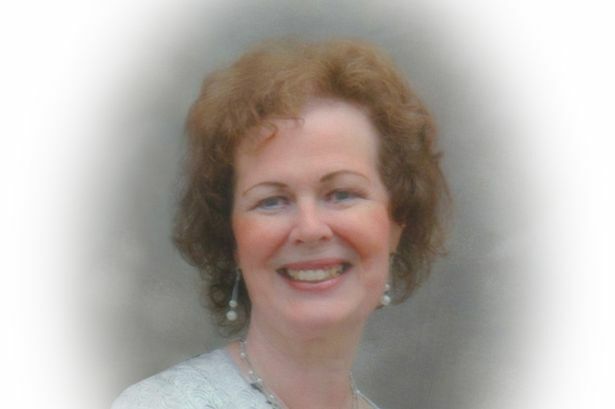 Terry never let her illness stop her doing what she wanted. In 2008 she made her final stage performance as Miss Haversham in ‘Great Expectations’. By staying in the wings in her wheelchair throughout the play she could support herself on a stick for her lines. Her body was disintegrating but her voice still rang out. In the last few years she also had to battle cancer and eventually, in autumn 2014, it came back and this time nothing could be done. I spent an hour with her before she died, looking at photo albums and reminiscing about our times together on stage. She was very weak of course but there was still laughter in our exchanges. At her funeral I sat with my school friends, Carolyn & Sue and we found ourselves remembering how, when we were studying for our English Literature ‘O’ Levels, we had spent a large part of our summer holidays making an audio recording of the set Shakespeare text – ‘Macbeth’. This was a grand production with music, sound effects and all parts played by the four of us – Terry was the other voice. So to cut a long story short, on 30 December 2014 three friends sat together to listen to a recording which hadn’t been heard for 50 years. Amazingly the CD was as clear as the day the tape had been recorded. We listened to our young voices, a bit high pitched at times and sometimes a bit fast, but what enthusiasm! Carolyn was definitely Macbeth and I was Lady Macbeth. Terry’s voice wasn’t present in the first act and then suddenly there she was; crisp, clear, brightly emotional in a range of roles. She was there in the room again, just as she was 50 years ago. So you see, your voice is UNIQUE. It defines you to others. It presents your BRAND to the world, so make sure you make the right impression and use it well. And was it worth spending the summer holidays making that tape? Well, we all got an ‘A’ grade for our ‘O’ Level exam, so I rather think it was! Have a great 2015 everyone.